In those things that concern the spoken, outward Word, we must firmly hold the conviction that God grants his Spirit or grace to no one except through or with the preceding outward Word. In this way, we are protected from the enthusiasts, those spiritualists who boast that they have the Spirit without and before the Word. Accordingly, they judge Scripture or the spoken Word, explaining and twisting it at their pleasure, as Münzer did, and many still do today, who wish to severely judge between the Spirit and the letter while not knowing what they say or teach. Indeed, the papacy too is nothing but sheer enthusiasm, as the pope boasts that all laws exist in the shrine of his heart, that whatever he decides and commands in his churches is spirit and law, even though it is above and contrary to Scripture and the spoken Word. God gives us his Spirit, and an understanding of the things of the Spirit, through his Word. “God told me,” does not cut it. “It is written,” is the way of God’s people. Examples are in abundance. God told me I don’t need to go to Church. He said that you are supposed to give me a thousand dollars, or, you are supposed to marry me. These statements do not require much discernment. Is it God’s will at work or the will of the person making the declaration? Is God speaking to you through his Word or from the lips and will of a human being who would shape you to his or her desire? Obeying the will of another, contrary to Scripture, is just one more way of trying to be right through doing things. This is not how we receive the Spirit of God. 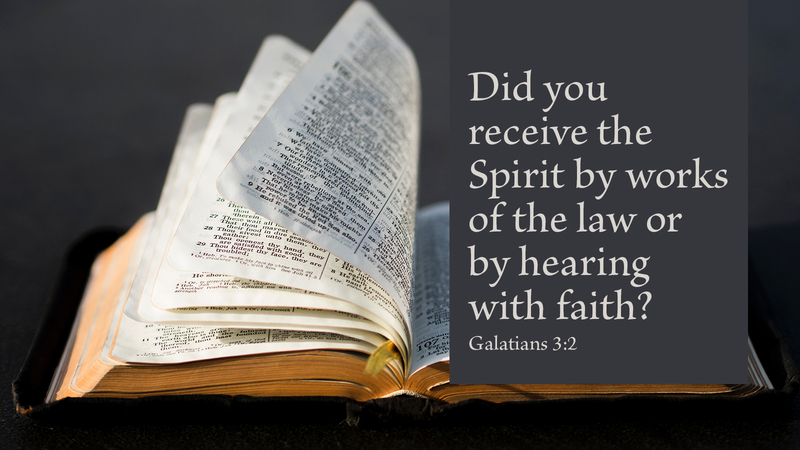 God’s Spirit and grace are received by hearing his Word through faith. Prayer: Thy will be done, Father. Amen. 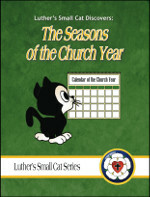 Luther's Small Cat Discovers: The Seasons of the Church Year is written for 4th grade level students. This book takes students through the church year, accompanied by Luther’s Small Cat — a character who is just as inquisitive and precocious as the students. May your journey through the church year bring you closer to Christ, who walks through each moment of life alongside you.